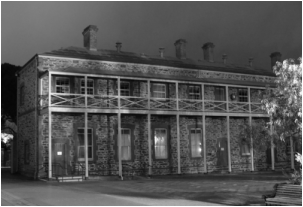 The Adelaide Gaol Ghost & History Tours are Back! After 2 years the Adelaide Gaol Tours are back up and running and the one tour operator we recommend? - Adelaide's Haunted Horizons for all your ghost tours and history/heritage needs! Why Haunted Horizons? Need you ask? Many of their guides have been information officers and tour guides for upto 14 years. They were also the official paranormal researchers of the Adelaide Gaol for over 10 years as P.F.I. and even authored the book, 'Ghosts of the Past', so if you want a great first hand ghost tour... these are the guys with the first hand knowledge. They have the real stories, they have the research, they have the audio/video and so will too you when coming on their tours! You get to use state-of-the-art equipment in their Ghost Hunts and all-night Lock-downs. Best of all... they are community minded, by proudly supporting beyondblue, and you will be too when joining their tours, as they donate a small amount of each ticket to this often life saving organisation. They are the only accredited ghost & dark history tour operator on mainland Australia and were named 'Best Tour Operator in S.A.' in the 2015 and 2016 Tourism Awards, and finalist in the Telstra Business Awards 2016 and 2017. This means you can be assured a friendly, professional and quality tour with a multi-award winning business. So, book now with Haunted Horizons and explore the Old Adelaide Gaol by day and by night... where their proud motto is 'Keep it Real'.... no tacky effects, no dress-ups, no dramatics, no made up stories... just real experiences, all be it, sometimes rather challenging... and that is just for the guides. History tours and other tours available for group bookings. For more information on all our tours, head to the Haunted Horizons website or follow them on Facebook. 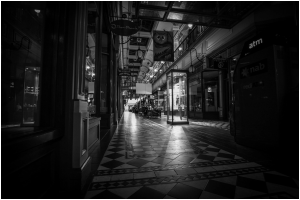 Adelaide's Haunted Horizons Ghost Tours operate in several venues and are the leading tour operator for tours of the darker kind, in South Australia. Named Best Tour Operator in S.A. for 2015 and 2016, and Telstra Business Awards 2016 finalist, don't just think they are all about the 'ghosts'... these guys have a passion for history and find the ghosts a great way to teach this to a generation not yet interested. They have a great range of history or ghost tours... so something to suite every taste. Their research arm, Paranormal Field Investigators, were the official investigators at the Adelaide Gaol for 10 years and Alison Oborn, authored the book 'Ghosts of the Past' about their time there. Alison has also been researcher, tour guide and information officer at the Adelaide Gaol since 2002.... so these guys really know what they are talking about and we know they do a great job, and why they come highly recommended!